Avenue North is an Edinburgh based company, specializing in refurbishment, commercial interiors and residential works. We are a team of construction professionals and trades people who have the skills and experience to deliver high quality projects on time and on budget. We undertake refurbishment, conversion, restoration and new build works within commercial, residential and industrial sectors. We have the knowledge and capability to manage complex and technically challenging projects. An appreciation of conservation and preservation enables us to provide a sympathetic and understanding approach to listed buildings, ensuring their survival for the enjoyment of future generations. We are proud of our ability to offer client satisfaction. At Caledonian Building & Landscaping Ltd we offer a full all trades service which starts from design to completion of building what ever your imagination allows. 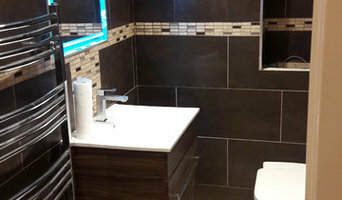 Attention to detail and a flexible helpfull attitude along with a fully manged compliment of trades people gives our clients the confidence to relax while we do all the hard work. K&M BUILDING SYSTEM is a business that specialises in all aspects of building. 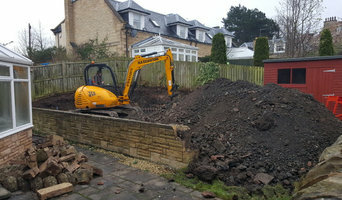 From extensions to driveways, kitchens, bathrooms or demolition. No job is too big or too small. We are fully covered with public liability insurance giving us and our customers peace of mind when carrying out your project. We always aim to complete your job on time to a very high standard with very competitive prices. We provide building services across Edinburgh – 7 days a week. Our company is insured for £2,000,000 Our Services: Extensions Renovations Bespoke Joinery Loft Conversions New Builds Bathrooms & Kitchens Plumber & Gas Heating Engineer Painting & Decorating Got A Project In Mind? Get In Touch! If you’d like to discuss your plans with us, please send an email office@kmbuildingsystem.co.uk or call us 07549670044. We’ll get back to you as soon as possible. We are an Edinburgh based home improvement company providing a wide range of services. We provide a comprehensive range of renovation and decorating services using only quality builders, plasterers, joiners, electricians, plumbers and decorators. We can also provide project management services for larger projects and will refurbish whole properties or individual rooms. Kitchen and Bathroom installation services are available. Specialists in old town and historic projects but we also have new build and bar renovation experience. If its creative then we can do it. Experts in the provision of holiday apartments - if you are looking for a company to build your holiday let then we are the ones for you. We can even have it furnished and ready for guests to move in if you want us to go to that level, or we can just do the build work. 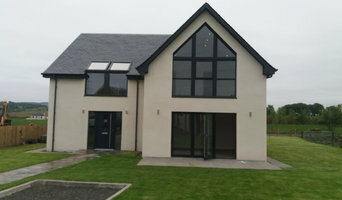 THCL is an award winning builder based in Kinross providing building services such as restoration, renovations, new build bespoke homes and home extensions across Perth and Kinross, Fife and throughout Scotland. At THCL, we have a strong focus on ensuring our customers are happy and working with them through each stage of their project. We are happy to work on fixed price contracts which means that the price we quote is the price you pay. Whatever you need, you’ll find a personal approach and absolute dedication to your needs. If you’d like a taste of the services we can offer, please get in touch for a free consultation on 0845 555 1015. Westrak is a Project Management Company providing affordable management and quality control for all interior and exterior projects. We operate throughout Edinburgh, The Lothians, Borders and Northumberland servicing both residential and commercial clients. Our projects range from refurbishment projects, building work, shop fitting, office fitting, general construction to Garden Design and Landscaping. 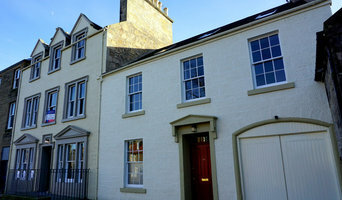 ESM Stone are experts in carrying out stonemasonry works using a wealth of traditional masonry skills and materials Specialising in the conservation of historic building facades in East Lothian, using traditional skills and NHL lime to all the historic monuments, ecclesiastical buildings and listed properties around East Lothian area, we take pride in prolonging the life and integrity of historic buildings. Some conservation methods employed by ESM STONE are Re-pointing using NHL limes & Consolidation of existing masonry. Home Trades Services are a family business based in Edinburgh offering an all-trades service specialising in Carpentry and Joinery work. We are experts in loft conversions (Velux and dormer) as well as home extensions. All our work is priced very competitively. Iain Thompson Contracts Ltd is a home builder specialising in new build homes and extensions. We are based in Rumbling Bridge, just west of Crook of Devon in Perth & Kinross and serve a wide geographical area including sites in Stirling, Kinross, Edinburgh, Glasgow and further afield. Our reputation for excellence and customer satisfaction comes from our strong commitment to the needs of our clients and a passion for our work. Visit our website or come and see us at our office in rural Kinross. Whether you’re undergoing home renovations or building from scratch, hiring the right home builder is essential. Your choice will determine the quality of craftsmanship, as well as how high your stress levels rise! A home design or building project is a huge and multifaceted undertaking, so it’s important to find a local Heriot, Scottish Borders, UK builder you can trust to bring your vision to life and keep the process under control. The Houzz professional directory of home builders is a great starting point to choose the right builder for your needs. What exactly do Heriot, Scottish Borders, UK home builders do? Before any nails are hammered down, construction companies perform market research to determine whether the prospective site for a new home in Heriot, Scottish Borders, UK makes sense. They also survey the land to make sure it is suitable for construction, and obtain any necessary Scottish Borders permits. 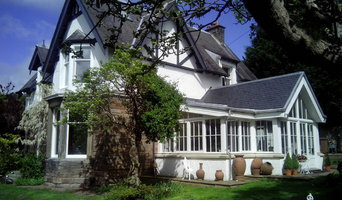 Scroll through this page to find contractors in Heriot, Scottish Borders, UK. Then, click on a professional to browse photos of their latest projects and see how their work compares to the scope of your project. Read reviews to see how other homeowners rate their work, and message the home builder or construction company directly to ask any specific questions.